Projecting a positive image of our people and our country is not just good for business, investment and economy but it is also good for our dignity and pride. Come November this year Port Moresby and of course the rest of the country has the opportunity to make a great impression for ourselves and our country as we host the APEC leaders summit. This is a rare opportunity that not many countries or cities of the world are given. And not many countries or cities have the courage, resources or the know how to organise and host such a event! This is such a privilege!. Leaders representing major economies of the world such as USA, China, Russia, Japan, South Korea etc will all be here. This is a great opportunity for us to present to the world a positive image of who we are as a nation and as unique people of over a 1000 Tribes and 860 languages. It is a once in a lifetime chance for us to do all we can to take advantage of these opportunities offered to us due to APEC. APEC is a great platform for us to project a progressive and a positive image of Papua New Guinea to the leaders of APEC member countries even though some may have a mixed view about it! This is one of the greatest benefit of hosting this event. I mean its not everyday world leaders will choose to come to PNG so if anything at all, we can leverage from this rare event and gain as much as possible for the benefit of our city, our country and for our people. We must not squander this opportunity with a casual attitude and or putting up a mediocre show! It will be a shame to us as a nation. To portray a positive image for our country will not be an easy task given that the perception of our people and our country at a global level has been very negative. Our tendency to use violence to resolve disputes, including domestic and gender based violence, tribal and street violence associated with crime has not given us good ratings around the world. We have a chance NOW to make a difference. I would like to ask all of us to seize this opportunity in a big way to bring positive outcome for our country. The National Government is doing its part by agreeing to host the event and has invested a lot in preparing our country to host the leaders summit and the many lead up conferences and workshops around the country giving opportunity for the world to see and appreciate our country and its potential. It is amazing that despite all our challenges, we agreed to host APEC this year. It will never be easy at any other time for us as a developing economy to host such a global event but it is now our turn as all the other economies within the Economic Cooperation family have had their chance to host prior APEC summits in their own countries. Let us therefore rise together to meet this challenge! Lots of investments have been made in preparing our security force for this event, from counter terrorism training, surveillance and prevention capacity. The building of the APEC House will also set us apart from other countries, as it is a building specifically built for the event. It will be a landmark building in the heart of the city signifying our abilities and capacities as a people to host an event of such magnitude. 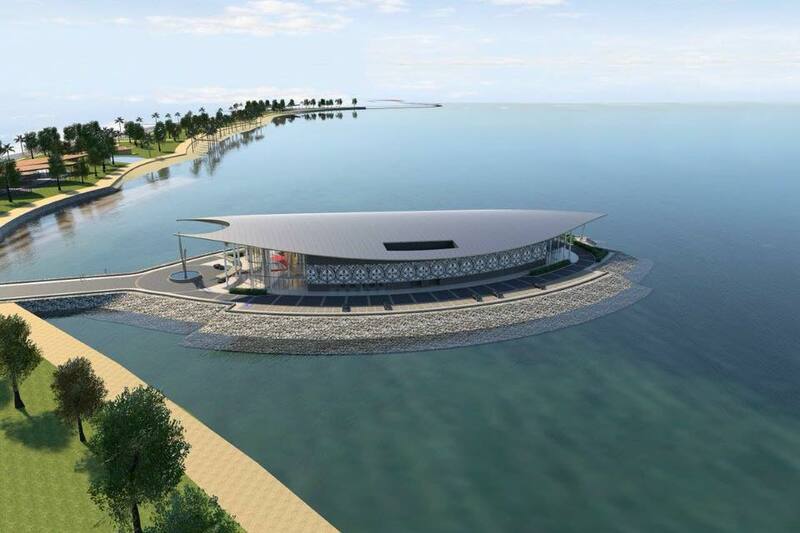 On the part of NCDC in partnership with the National Government and the kind generosity from the Government of the People’s Republic of China, over K300million will have been spent in preparing Port Moresby for the APEC summit. The resealing Of the Poreporena Freeway, the 6 lane boulevard from Waigani Drive to the Parliament House and the upgrading of the Independence Drive into a four lane road are major construction already taking place right now to cater for APEC. Not to mention the upgrading of Ela Beach and the extension of Stanley Esplanade into four lane road would surpass over K500million spent on developments that will remain even after the summit for the benefit of all city residents. Soon I will be launching a Port Moresby website to promote our City at the global level, to leverage on the attention we are getting as the APEC Host City this year. The website is already up and running, and once it’s launched, it will also be used to promote tourism, business and investment opportunity in the city. Please look forward to more announcements about all the positive city initiatives leading up to November. The City's Municipal Government NCDC together with National Government, we will doing our best to continue to prepare our capital city and its residents for this pinnacle event. The Government alone should not bear the onus of responsibility to achieve this outcome. Business houses and our people need to do their part to support this as a collective effort. Our people too can and must help to ensure the city is clean, healthy and safe, as that is a vital contribution we all must make to promote our city and our country. For this, I salute the hundreds of volunteers who have taken the challenge to start cleaning up our city on their own will. Most are regular participants of the Active City Development Program who have, since 2016, been doing clean up initiatives for our own good. They have expanded their efforts this year as we prepare for November and beyond. I thank the City Manager and his Management and the staff of the National Capital District Commission for taking bold steps to stop betel nut sales in major public areas. I also commend their efforts to pull down barbed razor wires and corrugated fences; pulling down ugly graffiti filled walls and the shutting down of Malaoro and Hohola Markets. These tasks are not easy to undertake and hard to implement. We must assist them to achieve an immediate goal of promoting our country and our people, now and in the long run, to build a clean, safe, smart and a greater city not only for us but also as a hub for all the Pacific Island Nations. I have set a goal to make Port Moresby an amazing city that is clean, healthy, safe and smart. We can achieve this outcome if we all learn to respect our city more, take responsibility and ownership of the city and make it a better place for ourselves, for our children, for visiting world leaders and beyond. Let's put all doubts and differences aside and do it for our people and our country! It is not the first time we are organising big global events and each success builds onto another till now to host APEC. It is a huge privilege that has been given to our city. People from all corners of our country will be looking to us, their Capital City, to rise up and meet the challenge. We will not let our people and our country down! All residents of our city, from the Government to private sector, our Motu and Koitabu Villages and in the suburbs and settlement of our city must seize this opportunity and privilege. Let show the world the true Melanesian spirit of unity in diversity of our 1000 tribes and to make a great impression for our people and our city! Together we can and the time is NOW.